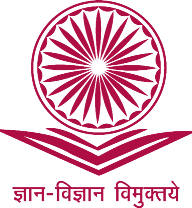 University Grants Commission (UGC) issued the official notification for UGC NET June 2014 Exam which is scheduled to be held on 29 June, 2014 at various exam centers across the country. UGC conducting National Eligibility Test to select the qualified candidates for the vacant posts of Assistant professors and JRF (Junior Research Fellowship) in the colleges and universities under the university grant commission. UGC NET June 2014 Application form are now available on the official website of commission – www.ugcnetonline.in and interested candidates can check the UGC website for more information about the national eligibility test schedule. You can also apply online for UGC NET June 2014 application registration through the websites ugcnetonline.in. As per the latest notification issued by UGC, NET Exam June 2014 is scheduled to be conducting on 29 June, 2014 at various exam centers. If you are under the age of 28 years then you can apply for Junior Research Fellowship JRF and there in no age limit for the post of assistant professors. Relaxation in age as the govt. norms. The last date to send the application form the respective address or online registration is 5 May, 2014. After the last date, no application shall be accepted. 28 Years as on 1.1.2014 for JRF and No age limit for Lectureship i.e. Assistant Professors. Relaxation in age limit as per the Govt. rules. UGC National Eligibility Test June 2014 is all set to conduct on 29 June, 2014 at the exam centers allotted for all states of the country as mentioned in the notification issued by the commission. Candidates can download the exam application form from ugcnetonline.in or can also apply through this website. The complete procedure of how to apply for UGC NET June Exam 2014 is available on commission’s site http://ugcnetonline.in. Please visit it for more information.